Summer in Mudgee is almost over and autumn will soon be upon us. 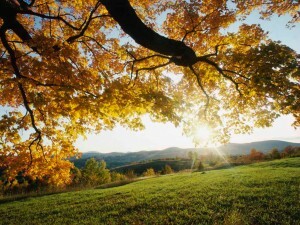 The 1st of March is the first day of autumn in Australia and autumn in Mudgee is simply the best season of all. From balmy cool and quiet nights that make it very easy to sleep, to lovely warm days with plenty of sunshine that make it simply a delightful time for any visit to our beautiful valley. Weddings in Mudgee are very common during autumn, winter, spring and now even in summer because of the predictability of the weather. It must be extremely disappointing for a bride to have that outside wedding planned, whether it be on the beach or in a park, and the weather turns nasty. Mudgee weather can have its moments but predominantly it is very predictable and will have significantly more sunshine days than coastal or areas such as the Blue Mountains which can have extremely inclement weather come upon them quickly and unpredictably. Sunshine and good light is also extremely important when it comes to taking good photos and any photographer will tell you that nothing will beat good natural light. Mudgee’s parks and wineries will be an absolutely wonderful backdrop to those special wedding photos during autumn as the colours of our deciduous trees are quite spectacular. Mudgee winters are quite cold and therefore we have very different and definite seasons which is not the case for coastal areas which are governed by sea temperatures and we do not have the overnight low temperatures that are predominant west of the Blue Mountains. So if you’re considering a trip inland and you are lucky enough to be considering this in the next two to three months then I can nearly guarantee you some spectacular autumn weather for you to enjoy our beautiful little country town. Whether you are just simply coming up for a weekend to enjoy some of our beautiful locally grown wines that we are famous for worldwide or if it is for a very special occasion you will be most welcome and we are sure that you will have a wonderful time, particularly if you are coming from Sydney where you will find the pace of Mudgee pleasingly much slower, less hectic and certainly less stressful. There will be many upcoming events in Mudgee during autumn and if you are wanting to coincide with one of these then I suggest you contact the Mudgee Regional Tourist Information Centre either by phone or you can visit their website by clicking here. You will find them extremely helpful and informative as to any of the events that may be coming up as well as information regarding restaurants, accommodation, wineries and all other relevant functions that you may be interested in. It is interesting just how much information the girls at the Mudgee tourist office know on a vast range of local and regional topics. Please feel free to visit our website on our beautiful Colonial Court Villas if you are after award-winning accommodation and please do not hesitate to contact us if you have any questions regarding our accommodation on 6372 0529 or click here for our website.